Eugenia Kim's stylish hats have been spotted on everyone from Bella Hadid to Beyoncé. 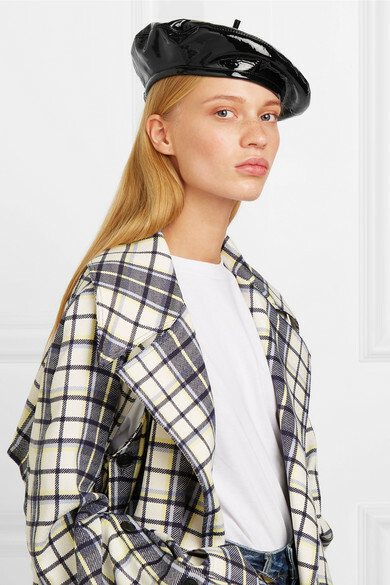 Part of the label's Resort '19 collection, this 'Carter' beret is made from glossy black patent-leather and fitted with an internal band to ensure it stays in place throughout the day. Wear yours over loose waves. Shown here with: Acne Studios T-shirt, Rokh Trench coat, AGOLDE Jeans.